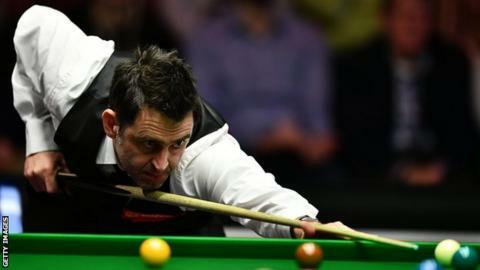 Ronnie O'Sullivan will face fellow Englishman Kyren Wilson in the final of the English Open in Barnsley. Wilson saw off Switzerland's Alexander Ursenbacher 6-3 before five-time world champion O'Sullivan beat Scot Anthony McGill 6-4 in the second semi-final. Wilson was level at 2-2 with world number 91 Ursenbacher before winning four frames in a row to progress. O'Sullivan was tested by McGill but finished with a 133 total clearance to reach his 43rd ranking final. The 41-year-old Englishman has had an eventful week in Barnsley after he was given special permission to play in trainers due to an ankle injury. His third-round match against Mark Davis was then interrupted by a spectator who evaded security and took his final shot. O'Sullivan and Wilson will now contest the best-of-19 frames final on Sunday.